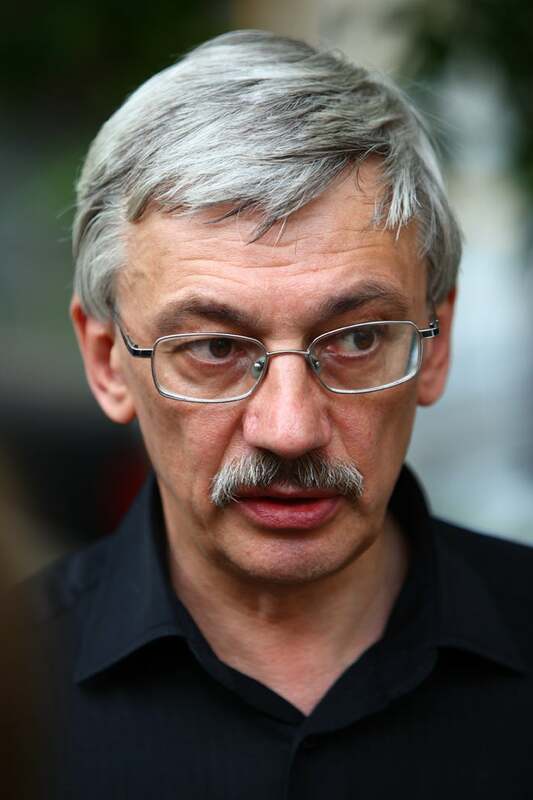 (Moscow) – Russian authorities should immediately drop criminal libel charges against Oleg Orlov, the prominent activist who heads Memorial Human Rights Center, Human Rights Watch said today. The charges stem from Orlov’s statement that Ramzan Kadyrov, the president of Chechnya, was responsible for the murder of Natalia Estemirova, Memorial’s leading researcher in Chechnya. The decision to bring a criminal case was made public on October 27, 2009. If convicted, Orlov faces up to three years in prison. Human Rights Watch said that the current case against Orlov highlights the need to bring Russia’s laws in line with its international obligations to protect freedom of expression. Russia and Azerbaijan remain the only two Council of Europe member states to make libel a criminal offense. In determining whether Orlov’s statements were libelous, the court will need to take into account the standards applicable under Russia’s human rights obligations, especially the need to protect freedom of expression, Human Rights Watch said. The threshold for criticism of a public official is much higher than for a private individual, Human Rights Watch noted. Estemirova was abducted outside her home in Grozny, the capital of Chechnya, on July 15 and was found shot dead in the neighboring republic of Ingushetia later the same day. The nature of Estemirova’s investigations into official abuses, the circumstances of her murder, and the pattern of threats against her, Memorial, and investigative journalists and human rights defenders in Chechnya all point to possible official involvement in or acquiescence to her murder. Human Rights Watch warned that the Russian authorities should not allow the suit to distract from their responsibility to investigate Estemirova’s killing thoroughly and impartially and to identify and prosecute those responsible. Human rights groups have documented serious human rights violations committed by law enforcement and security personnel under Kadyrov’s de facto control. These violations, committed in a counterinsurgency campaign, include illegal detention, torture, extrajudicial executions, and home-burnings of individuals they accuse of being involved in or supportive of the insurgency. Those who document and publicize these crimes have faced violence, threats, and harassment. Estemirova’s murder was followed three weeks later by the killings of Zarema Sadulayeva and her husband, Alik Dzhabrailov, civic activists who worked for Save the Generation, a charity that provides humanitarian assistance to war victims. Sadulayeva and Dzhabrailov were abducted from their Grozny office by law enforcement personnel on August 10 and found shot the next day. In the months since Estemirova’s murder, several Memorial staff who work on Chechnya have faced threats and intimidation. The announcement of the criminal charges comes just days before the European Union and Russia will hold their bi-annual human rights consultations. Human Rights Watch urged the European Union to seize the opportunity of the talks, scheduled for November 5 and 6 in Stockholm, to press Russia to protect human rights defenders and to seek a commitment from Russia to bring its libel laws in line with its international obligations to protect free expression. The European Union and the United States should further urge the Russian government to demonstrate its commitment to openness and accountability by securing immediate and unfettered access to Russia, including to the North Caucasus, for international monitors who have long sought such access. These include the Council of Europe Parliamentary Assembly rapporteur on legal remedies for human rights violations in the North Caucasus, and UN special rapporteurs on torture, extrajudicial executions, and human rights defenders. “If anything, the charges against Orlov should remind Russia’s partners of the urgent need to protect human rights defenders in Russia,” Gill said. “The EU should seize the chance to press Russia for an effective, credible, and transparent investigation into Estemirova’s murder.